Established in 1984, Abbey United has been very successful in its short history. Winning the Domestic Junior Treble in 2015 and the Ladies FAI Junior Cup in 2008 are only some of the overall achievements from across all age groups including an excellent record at SchoolBoys/Girls League Level. We are a search and rescue group and we provide 24hour SAR service in the parishes noted below (primary search area). If you have a report of a missing person in your area please call one of the committee below. It doesn’t matter what time of the day or night it is. Also, if you even have suspicions that a person is missing, please do not delay contacting us, the earlier we are called in, the easier it will be for us to find that person. 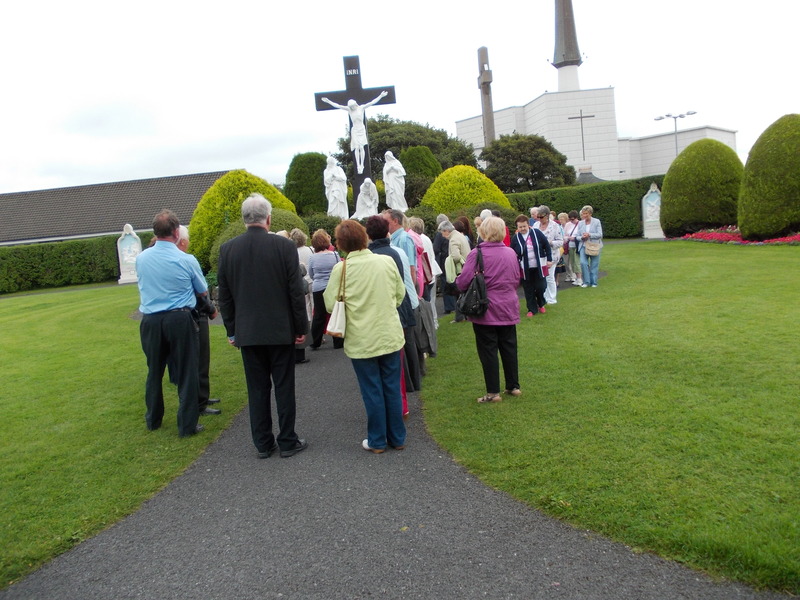 Abbeyfeale – Templeglantine – Brosna – Knocknagoshel – Duagh – Tournafulla – Mountcollins – Monagea – Killeedy – Ashford – Newcastle West – Athea – Rockchapel – Meelin – Newmarket. We are also available to assist in searches outside the primary search area, in an area within a 20 mile radius of Abbeyfeale (secondary search area). This may not be a 24 hour service. If you think that we can help, please call us. Abbeyfeale Drama Group was founded in 1989 with its first production taking to the stage in 1990 with two one act plays by John B. Keane – “One Way Tickets” and “Backwater”. Over the years many plays have been staged in halls throughout Counties Limerick, Kerry and Clare. Our Group has grown from strength to strength and welcomes new and enthuastic members every year. We have always been conscious to bring theatre to the community and our yearly production in the month February is eagerly awaited by everyone far and near. Our plays are influenced by the demands of the local people and we have developed a special talent for interpreting the work of any author – serious or comedy. The Abbeyfeale Drama Group has been a regular contributor to the Listowel Writers Week, where we perform a series of acts from various plays many of which belong to the late John B. Keane. In appreciation of the valued support received every year we sponsor several local and further afield charities and groups from our proceeds. In October 1959,a group of rugby enthusiasts which consisted of Michael O’Mahony, Mattie Tobin, Maurice McElligott and J.J Donovan had an idea to start a rugby club in the town of Abbeyfeale. It was felt that boys’ who were learning to play the game at school and at College needed the opportunity to practice their beloved sport at home. The Club’s first match was a friendly against neighbours Tralee on the 10th of April 1960. It was a game which resulted in a victory for the fledgling club who used a set of borrowed jerseys from another one of our neighbours Castleisland and also played with a ball that the Tralee team supplied. In the clubs first full season, Con McMahon and his trusted able men began their quest for success when they overcame several Kerry teams to progress to the semi final of the Munster Junior Cup, where they lost to the eventual winners Shannon, on a score line of 3-0. Two years later they again qualified for the semi final but yet again were defeated by a powerful Young Munster team after a second replay. Valuable experience was gained and the lessons learned were digested during those early years. The big break-through came in 1964, four years after the club had been founded when Bernard Broderick and his group of warriors led the club to victories over Castleisland and Killarney and proved too strong for Shannon in the semi final replay. In the final against Nenagh Ormond, it was a try by Jim Moynihan in the second half that gave Abbeyfeale their first Munster Junior Cup win after an emphatic encounter in Thomond Park. A week later after that monumental success, Abbeyfeale R.F.C captured its second trophy by defeating Bandon, 3-0,in the Cork County Cup final. A year later, the club were again in the final of the Munster Junior Cup but were defeated 6-3 by Old Christians. However, the Cork County Cup was retained. Joyful scenes were witnessed again in 1966,when a Cyril McMahon led team captured their second Munster Junior Cup in three years by again defeating Nenagh Ormond in the final in Thomond Park. Mrs. Betty O’Mahony RIP was President of the club from 1972 (after Dr. George’s death RIP),until 1993.She was the first lady to become President of a rugby club in Ireland, an honour she duly accepted and a role where she brought great energy, dynamism and charisma. Dr. George O’Mahony and his wife Betty’s house on the Killarney Road was headquarters for the team and the principal centre of operations. Quirkes Pub (The Winners Circle) was used as a dressing room and the teams also dined there. Abbeyfeale Rugby Male and female Teams from all ages have continued to grow and excel in the game and are now proud winners of numerous competitions since those early days. Abbeyfeale Town Park was developed on the banks of the river Feale. The park has meandering walkways adjacent to the river, which also takes in the idyllic views of the surrounding countryside. Also included in the park is a playground to entertain younger locals and visitors and a very popular All-Weather mini-pitch. The Town Park is continuously being developed and enhanced through the commitment and dedication of several locals and a Town Park Committee. For ideas and funding contact James Harnett. We would like to wish all our members a Happy and Peaceful Christmas and Best Wishes and Good Health for 2015. Our next meeting is on Wednesday 14th January 2015 @ 2pm at the Adult Educational Centre and we look forward to meeting up after the Christmas break. The Butterfly Club is a social club for children with Special Needs aged 3 years and up from all areas of Limerick. It is a totally voluntary run club. Established in 1884 by Father William Casey, Fr. Casey’s GAA Club has been one of the most successful clubs in the history of Limerick Gaelic Games. Located in the West Limerick parish of Abbeyfeale, Fr. Casey’s GAA Club have won the County Senior Football Championship on a remarkable 8 occasions and contributed many great players to County teams over the years. In addition to their Senior triumphs Fr. Casey’s have also enjoyed numerous Intermediate, Junior, U21, Minor and Underage Gaelic Football successes during their proud history. Competing at the highest level at all age groups and having numerous county representatives, the future is looking very bright. The Glorach Theatre Group is affiliated to Abbeyfeale Folk Limited, a company limited by guarantee to which charitable status has been granted. Glorach is the Abbeyfeale Community Theatre managed by the Glorach Theatre Group on a not for profit basis, promoting the performing arts. In, addition, the Glorach Youth Theatre run their own programme catering for children and young adults. The aims of the ICA is to provide a welcoming and fun organisation which offers support, friendship, personal development, education and live long learning. Our members regularly learn new skills, participate in local charity initiatives and get involved in their local communities. As a member of the ICA our structure means that your voice is heard locally, in your county and nationally as we work to ensure that women’s interests, family policies and community values are at the forefront of Government policy both nationally and in county councils locally. We build on 100 years of nurturing the Irish Language and culture and we ensure that through teaching and practicing that we preserve the long tradition of heritage crafts that we are so proud of in this country. Abbeyfeale Men’s Shed are opened in the Old Tech on Monday evenings from 6-9pm. To learn a new skill, meet other men and share a chat and a cup of tea or coffee.